A sweet tribute! The Onell Design Glyos Glyrecon Action Figure was sold in April, and I really dig it. So read on, and come back next week for more! This week's 3DS offerings: Bloodstained: Curse of the Moon and Dragon Lapis. This week's batch of titles on the eShop: Pok�mon Quest, Street Fighter: 30th Anniversary Collection, NEOGEO NINJA COMBAT, Ikaruga, Johnny Turbo's Arcade Joe and Mac Caveman Ninja, and Harvest Moon: Light of Hope Special Edition. And many, many more. This week's batch of titles on the eShop: Masked Forces. Galactic Hunter has posted a Q&A: Solo Post-Game, Forces of Destiny, and Star Wars Storage! It's new! Be sure to click through and read up on the latest! Limbs are on the way! 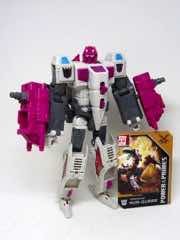 The Transformers Generations Power of the Primes Terrorcon Hun-Gurrr Action Figure is a good update of the classic torso/dragon/robot. So read on, and come back tomorrow for more! I found it at a Family Dollar! 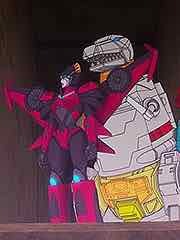 The Transformers Authentics Dinobot Grimlock Action Figure is the best of the first "Authentics," although the big Optimus Prime is pretty good too. So read on, and come back tomorrow for more! 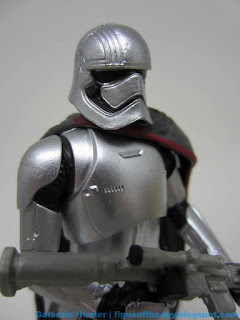 Via the Star Wars Galactic Hunter Figure of the Day Blog: Captain Phasma (First Order Disguise, The Last Jedi Line Look). It's the Entertainment Earth exclusive one, with a lot of silver paint, great helmet detail, and arms that can hold weapons surprisingly well. Read the whole review. Old! 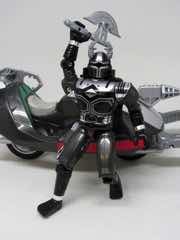 The BanDai Saban's BeetleBorgs Metallix Mega Spectra Titanium Silver Sector Cycle Vehicle with Action Figure is something I bought 20 years ago and is a surprisingly good toy by even today's standards. So read on, and come back tomorrow for more! New to the Playstation 4 this week: Perils of Baking, Awkward!, BlazBlue: Cross Tag Battle, The Elder Scrolls Online: Summerset, HomeStarVR, The Infectious Madness of Doctor Dekker, MotoGP 18, Onrush, Vampyr, and Riddled Corpses EX. New to the PSP Vita this week: Riddled Corpses EX. It begins again. 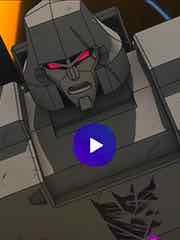 Machinima's Transformers: Power of the Primes S3:E6 Countdown is up now on Tumblr. It's not entirely stable! This Mattel Jurassic World Metriacanthosaurus Action Figure is an awesome design, but has soft feet so a few weeks on a shelf in a warm move means she'll fall over. So read on, and come back tomorrow for more! 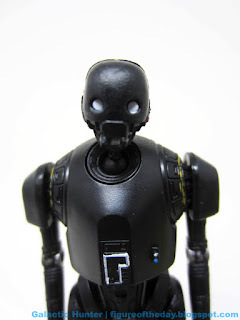 Via the Star Wars Galactic Hunter Figure of the Day Blog: K-2SO (Solo: A Star Wars Story Line Look). 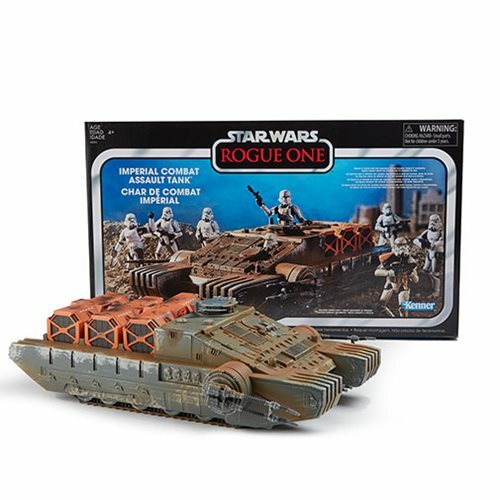 This 3 3/4-inch scale figure is basically a slightly retooled version of the Rogue One release, with a sound chip, and a gun. Read the whole review. 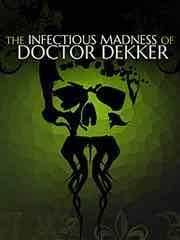 "The Infectious Madness of Doctor Dekker is a FMV murder mystery. YOU are a psychiatrist, trying to solve a murder whilst treating the unusual patients of the recently deceased Doctor Dekker. Ask any questions and collect the evidence as you uncover the identity of the randomly generated murderer whilst trying to figure out the chaos that was left behind." Also available: The Elder Scrolls Online: Summerset, ONRUSH, Vampyr, Aragami: Shadow Edition, and Rento Fortune � Monolit Tycoon. And a lot more, including pre-orders. Why Couldn't I Be a Compulsive Cleaner? 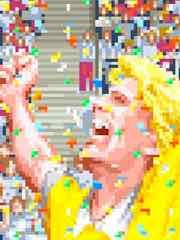 A retro hero! 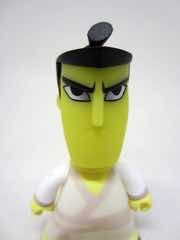 The Titan Merchandise Cartoon Network Collection Samurai Jack came in a blind box. So read on, and come back next week for more! 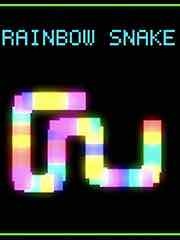 This week's 3DS offerings: Rainbow Snake, Storm Chaser - Tornado Alley, and Games for Toddlers 2. This week's batch of titles on the eShop: A Magical High School Girl, Sushi Striker: The Way of Sushido, Songbringer, ACA NEOGEO RIDING HERO, Shaq Fu: A Legend Reborn, and BLAZBLUE: CROSS TAG BATTLE. And many, many more. 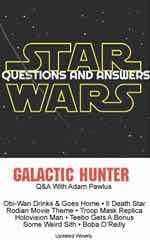 Galactic Hunter has posted a Q&A: Solo Distribution, Star Wars Completeness in Collecting - Is It Possible?, Force Ghosts! It's new! Be sure to click through and read up on the latest! Push the button and it sags! 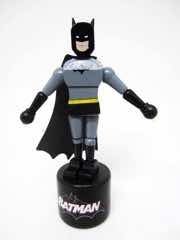 The Entertainment Earth Justice League Batman Push Puppet is a good update of a classic toy that you don't see as much of these days. So read on, and come back tomorrow for more! 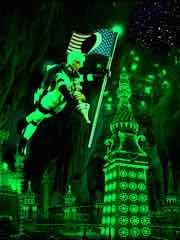 New Green Lantern? Arwing Toys to Life? You know you want one! The Funko Pop! 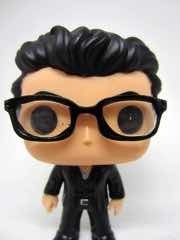 Movies Jurassic Park Dr. Ian Malcolm Pop! Vinyl Figure is a favorite character with a figure that might have a little bit of slop - you'll want to examine it when you can. So read on, and come back tomorrow for more! 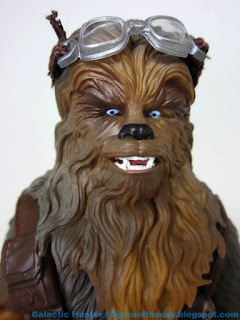 Via the Star Wars Galactic Hunter Figure of the Day Blog: Chewbacca (Vandor, The Black Series 6-Inch). It's the Target exclusive one, with unique goggles and a blaster and a bandolier. Read the whole review. 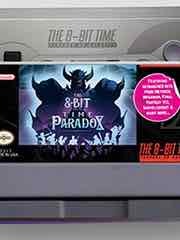 We've been informed that the 8-Bit Time Paradox is on a Super NES-themed Cassette Tape and GameBoy-themed vinyl LP. I don't know any of the artists, but you get covers of Shovel Knight, Zelda, Final Fantasy, and Metroid tunes. That ain't bad. Check it out - and it does not appear a download is included. Exclusive! The Funko Pop! 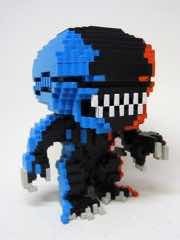 8-Bit Alien Xenomorph (Video Game) Pop! Vinyl Figure is multi-colored and snazzy as all get out. So read on, and come back tomorrow for more! It begins again. 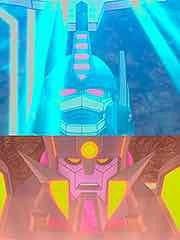 Machinima's Transformers: Power of the Primes S3:E7 Consequences is up now on Tumblr. While I will make fun of it, they're getting a little better at doing these as they go. 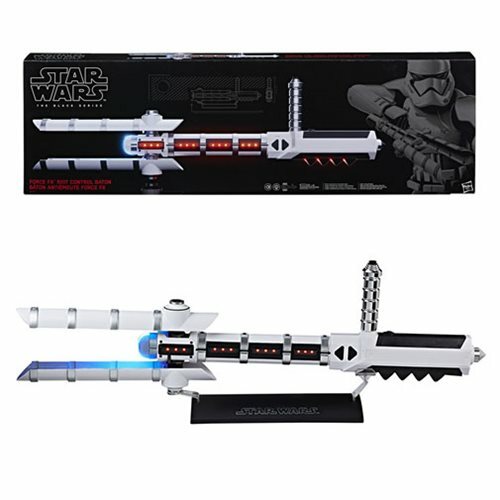 Ad: Catch up on Star Wars and Marvel from Hasbro and Bif Bang Pow! and Beeline Creatuve at Entertainment Earth! New transformers, action figures, mini-figures, Pin Mates, and more can be yours if you pre-order now. Once free! 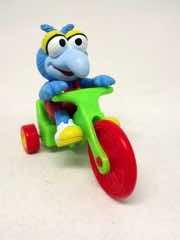 This McDonald's Muppet Babies Gonzo on Bike Figure with Vehicle is surprisingly good toy for a 33-year-old freebie. So read on, and come back tomorrow for more! 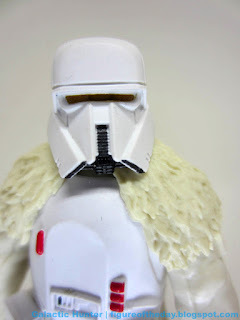 Via the Star Wars Galactic Hunter Figure of the Day Blog: Range Trooper (Solo: A Star Wars Story Line Look). This 3 3/4-inch scale figure is decent but not actually magnetic. Read the whole review. Also, Galactic Hunter posted Comic-Con 2018 6-inch exclusives. 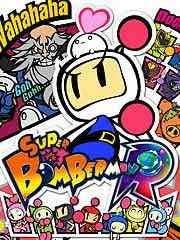 "Bomberman is back and stronger than ever and joins forces with Master Chief Bomber! The 8 Bomberman heroes journey to space to face the Evil Emperor Buggler! Classic Battle Mode is back! 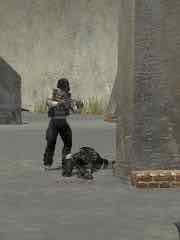 Challenge players around the world in online battles!" Also available: ACA NEOGEO RIDING HERO, ONRUSH, Milanoir, Prey: Digital Deluxe Edition, and Jurassic World Evolution. And a lot more, including pre-orders. Pre-order yours now! 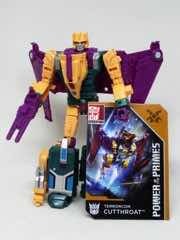 The Transformers Generations Power of the Primes Terrorcon Cutthroat Action Figure is making the rounds online, and could be yours if you had done some sort of time/space manipulation. So read on, and come back next week for more! "Weird Al" Yankovic is famous for his parodies and polka medleys, but this may well be his first cover song medley. 77 songs are covered (in bits and pieces) over 26 minutes, which were culled from his live tour. The sound quality is pretty good, and this would have made for a great digital release of some sort. Check it out. Elvis Costello, Devo, They Might Be Giants, David Bowie, Talking Heads, The Ramones, and pretty much everything you might want are here. Also Smashmouth. This week's batch of titles on the eShop: Donkey Kong, NeoGeo Super Sidekicks 3: The Next Glory, LEGO The Incredibles, Flashback, Jolt Family Robot Racer, Chameleon Run Deluxe Edition, and Beekyr Reloaded. And many, many more. Galactic Hunter has posted a Q&A: Star Wars Last Wave Syndrome, Glasses, and Solo Stuff! It's new! Be sure to click through and read up on the latest! Replaced by Sattelite! 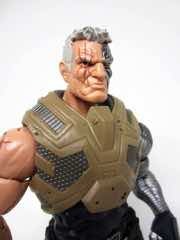 The Hasbro Marvel Legends X-Men Cable is a now old version of the X-Force founding member. So read on, and come back tomorrow for more! Via the OSM News Dump: Now Available - Luna Eclipse! The carded glow-in-the-dark figure is up for sale, and is $30 until she's gone. Apparently we missed the first releases! 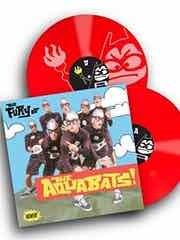 Gloopy Records released The Fury of the Aquabats Remastered/Expanded on CD and vinyl. I stumbled on it at Zia Records here in Arizona, and promptly bought it. Some of the tracks have audible differences - there's dialogue under the beginning of "Lobster Bucket" and "Super Rad" seemingly has different levels on the horns, they feel de-emphasized. Most of the other songs sound pretty much the same but it wouldn't stun me if there were alternate takes or meticulous re-recording in here. 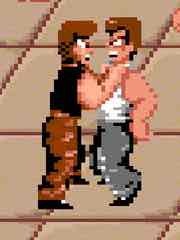 The two new tracks are "Hockey Fight" and a new demo version of "Adventure Today." You can grab it on Amazon if you're too good to support your local record shop. 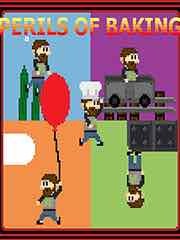 The red is a newer release, a few months ago saw Green, Blue, and Pink. Pink was a show exclusive, no version exceeded 1500 so far. 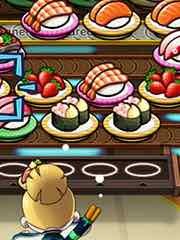 You might be able to find these! 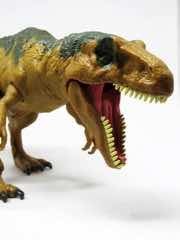 This Mattel Jurassic World Tyrannosaurus Rex, Stygimoloch "Stiggy," and Triceratops Action Figures is probably going to dry up this weekend when the movie opens. So read on, and come back tomorrow for more! 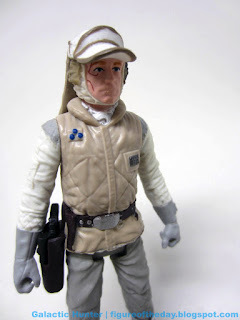 Via the Star Wars Galactic Hunter Figure of the Day Blog: Luke Skywalker (Hoth, The Last Jedi / Solo: A Star Wars Story Line Look). It's the Hoth one that has Dagobah clips on the voice chip. Read the whole review. Via Phil, Kent, eBay, and elsewhere Imaginext Blind Bag Series 11 is hitting and ID codes have been found. 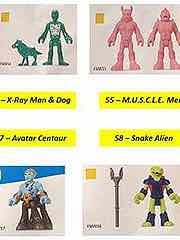 All of the figures are great, but the X-Ray Man, Triple Threat Snake, and MUSCLE Men are must-buys for old toy farts. Series 10 had the creature and pilot from the Adventure People Alpha Star - and these things are three bucks a pop if you can find them. 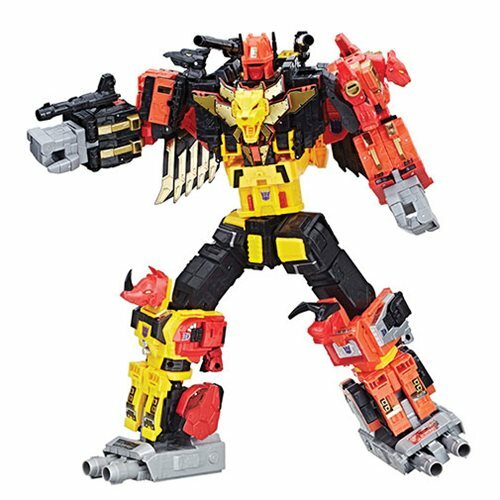 The Battle Beasts tribute is particularly interesting in that it's a Hasbro/Takara item, when most other figure tributes are wholly-owned by Mattel. Old! 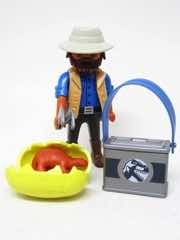 The Playmobil 2013 Toy Fair Dinos Explorer Figure is a freebie I meant to review in 2013. Well, better late than never. So read on, and come back tomorrow for more! It begins again. Machinima's Transformers: Power of the Primes S3:E8 Collision Course is up now on Tumblr. Retro! 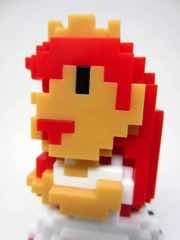 This Jakks Pacific World of Nintendo 8-Bit Princess Peach Action Figure is another in the series of awesome pixel figures, which maybe you saw and maybe you didn't. So read on, and come back tomorrow for more! 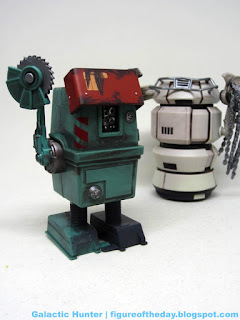 Via the Star Wars Galactic Hunter Figure of the Day Blog: Power Droid (Wind-Up Fight Droids, Solo: A Star Wars Story Line Look). This 3 3/4-inch figure is from Disney and it's big - I'm not sure if it's truly scale with the Hasbro stuff. Read the whole review. 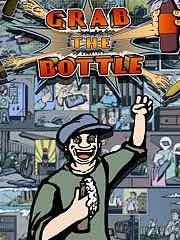 "Grab the Bottle is a puzzle game in which you solve puzzles by stretching an infinitely stretchy arm through various levels, grabbing and dropping objects along the way." Also available: Anima: Gate Of Memories. And a lot more, including pre-orders. 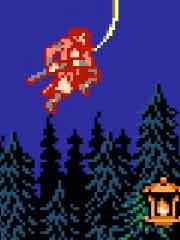 A retro hero! 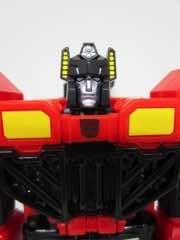 The Transformers Generations Power of the Primes Inferno Action Figure is Hot Spot with new colors and a new head. So read on, and come back next week for more! 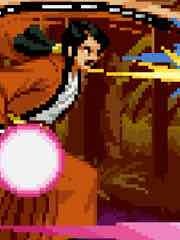 This week's batch of titles on the eShop: ACA NEOGEO THE LAST BLADE 2, Minecraft, LEGO The Incredibles, Mahjong Deluxe 3, Ys VIII: Lacrimosa of DANA, and Mario Tennis Aces. And many, many more. 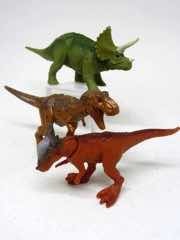 Galactic Hunter has posted a Q&A: The Star Wars License, Toys R Us, Jurassic Parked! It's new! Be sure to click through and read up on the latest! 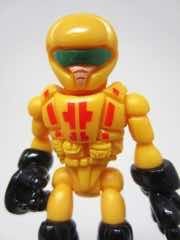 Adventure Glyos People! 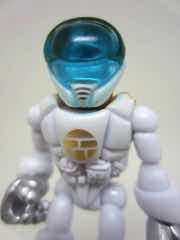 The Onell Design Glyos Retro Altrovos is a nifty update of a figure I actually had when I was a kid. So read on, and come back tomorrow for more! Ram head! 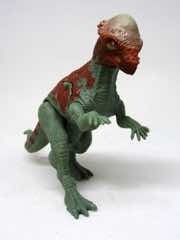 The Mattel Jurassic World Battle Damage Pachycephalosaurus Action Figure is a nifty exclusive that was fun to futz with. So read on, and come back tomorrow for more! 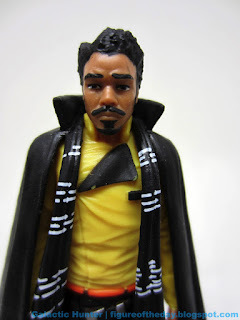 Via the Star Wars Galactic Hunter Figure of the Day Blog: Lando Calrissian (Solo: A Star Wars Story Line Look). It's the Target exclusive one, with unique goggles and a blaster and a bandolier. Read the whole review. Ad: Pre-order new Masters of the Universe stuff from Super7 at Entertainment Earth! New additions are up - ReAction figures, retro-style 5 1/2-inch figures, and everything else that's available! New! 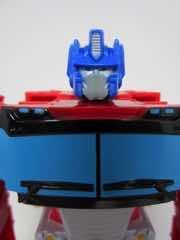 The Transformers Authentics Alpha Autobot Optimus Prime Action Figure is cheap, sort of fun, and surprisingly big for the price. So read on, and come back tomorrow for more! It begins again. 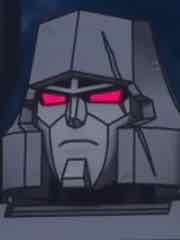 Machinima's Transformers: Power of the Primes S3:E9 Megatronus Unleashed is up now on Go90 and Tumblr. With splitscreen. So much splitscreen. 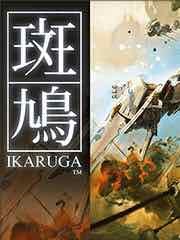 New to the Playstation 4 this week: The King of Fighters Collection: The Orochi Saga (PS2 Classic), Ikaruga, Grave Danger, Fighting EX Layer, Far Cry 3 Classic Edition, Eventide 3: Legacy of Legends, Esper, Dimension Drive, The Crew 2, and Atomine. Shorted! 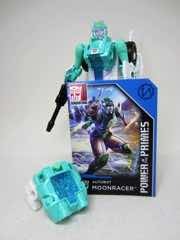 The Transformers Generations Power of the Primes Autobot Moonracer Action Figure is one of the best limbs, and sadly this mold is only planned to come in two flavors. So read on, and come back tomorrow for more! 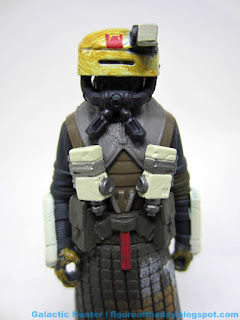 Via the Star Wars Galactic Hunter Figure of the Day Blog: Kessel Guard (Solo: A Star Wars Story Line Look). This 3 3/4-inch scale figure is cool but his staff won't stay in the storage slot. Read the whole review. "The critically-acclaimed puzzle game produced by legendary creator Tetsuya Mizuguchi comes to XboxOne. 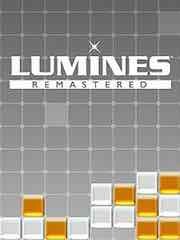 An HD remaster of the original game, LUMINES REMASTERED beautifully marries the elements of sound, light and puzzle-action into one addictive, yet easy-to-play game." Also available: Far Cry 3 Classic Edition, NieR:Automata BECOME AS GODS Edition, Sudden Strike 4 - European Battlefields Edition, The Awesome Adventures of Captain Spirit, and Battle Knights. And a lot more, including pre-orders. It's new! The Hasbro Lost Kitties Series 1 Single 007 Mr. Mush Action Figure is a large fellow. So read on, and come back next week for more! I ordered the launch set of Zoids Wild kits from a major Japanese toy importer/exporter, and they showed up on Thursday. I assembled Gannontoise, a turtle with moving limbs plus a tail and head that can move. It is about 6 1/2-inches long with all parts pre-cut, unlike previous generations. You won't need a hobby knife other than to apply the decals, which seem trimmed better than on previous generations. I have read a few complaints on social media about making it easier, but I ain't got all day so I'm OK with this. The battery-powered kits take "AAA" batteries, so go stock up on those now. 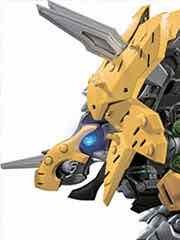 The official Zoids Twitter posted shots of a Laptor (or that was a typo) as well as a Triceradogos. 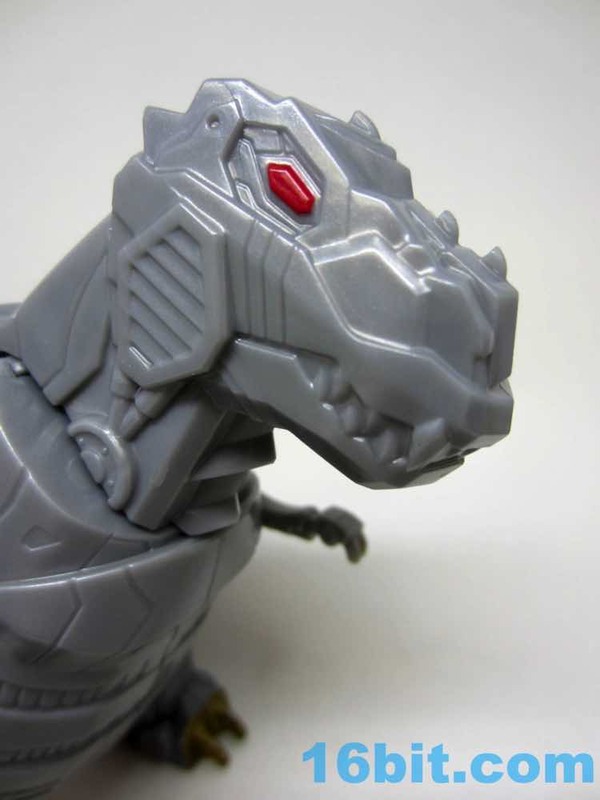 No pre-orders yet on those, but a few places are already sold out of pre-orders on Grachiosaurus and Kuwaga. This week's batch of titles on the eShop: Wolfenstein II: The New Colossus, Crash Bandicoot N. Sane Trilogy, de Blob, LUMINES REMASTERED, Ys VIII: Lacrimosa of DANA, ACA NEOGEO Money Puzzle Exchanger, and Arcade Archives Renegade. And many, many more. 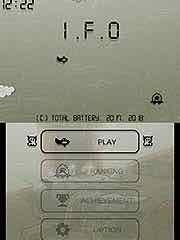 This week's 3DS offerings: I.F.O.